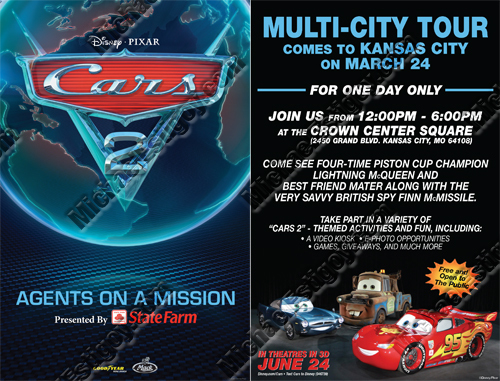 This is a flyer handout for Cars 2 city tour. This design was used as a template for other offices to follow. This entry was posted in Flyers.